~ MEMBERSHIP ENROLLMENT ON WAIT LIST: ANY PERSON(S) ASSOCIATED WITH THE ANTIFA MOVEMENT, RESIST, MOMS DEMAND ACTION AND ANY OTHER UNMENTIONED SUBVERSIVE/TERRORIST ORGANIZATIONS, DO NOT BOTHER ENROLLING ON THE CLUB WAIT LIST. LFGC, was established in 1951 for the purpose of promoting conservation, perpetuating safety and ethics through Hunter Education Programs, promote respect for land through goodwill and respect, and for the ethical and proper use of our natural and wildlife resources. Beyond our ranges we have a fully stocked trout pond if you want to fish and 82 acres of land you can hunt and hike on. LFGC has no memberships currently available. LFGC has established a waiting list. In the menu bar above under MEMBERSHIP click the WAITING LIST link and fill out the form. LFGC will defer to the waiting list and enroll potential new members in the order in which they come and based on Club Membership Criteria. LFGC is not able to provide any specific time frame to when membership may become available. Please note, Membership in the National Rifle Association is required for membership in the Londonderry Fish & Game Club. 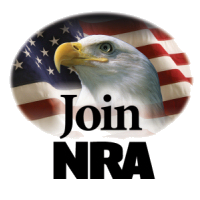 Annual Membership is $150, Plus, National Rifle Association Membership. Membership runs from January of each year and terminates December of each year. LFGC is a private club. Club T-Shirts and Logo Hats will continue to be sold at the Clubhouse as they are now. If you have any questions, feel free to contact Club Officers. The Membership Renewal Portal will open on SATURDAY, SEPTEMBER 15, 2018 for current members seeking to renew for the 2018 membership year. PROSPECTIVE MEMBERS ON THE WAIT LIST: LFGC will finalize the wait list for 2019 on August 15, 2018. Those on the list at this time will receive an email with membership information. EVERYBODY on the waitlist will be offered membership PROVIDED yes....PROVIDED the total number of non-renewals equals the total number of new prospective members. THE LOCKS CHANGED ON THURSDAY, FEBRUARY 1, 2018. For FULL details about 2019 renewals, and membership, CLICK THIS LINK . Every year, LFGC finalizes its New Member Waiting List. We have had a Wait List for Nearly Five years now. And without Fail, about 90% of folks on the wait list, get in the following year. In 2013, we had more candidates than spots so that was the exception. Generally, we can accomodate all who submitted his or her name to the wait list prior to August 15 and After February 1. The actual formal invitation for club membership will come on (or within three days of ) February 1 of each year. Please click THIS LINK for the details. Londonderry Fish and Game Club, in its' committment to advocacy of hunting, fishing, trapping and conservation strives to partner with like minded charities committed to bring wildlife and outdoor education as a component in quality of life. Londonderry Fish and Game Club welcomes the support of charitable contributions to make these events possible. Please consider supporting the LFGC through club membership, a monetary donation, or other goods or services in helping us make these events possible. Londonderry Fish & Game Club is committed to its role of stewardship in the community. All donations no matter how big or small are, graciously accepted. While contributions made to the Londonderry Fish and Game Club may not be tax deductible, your financial contribution will go directly to the operating and maintenance costs of our 83-Acre facility, enabling us to bring many events to the community each year. Your donation may be made payable to The Londonderry Fish & Game Club, Inc. P.O. Box 229, Londonderry, NH 03053. PLEASE NOTE: The LF&G Club is an NRA Affiliated Club, therefore NRA Membership is required for all LF&G Members.